These are X-Men movie quotes taken from every film in the blockbuster X-Men series. With the release of X-Men: Apocalypse this summer, the X-Men film series is on the minds of comic and film fans once again. All three of the original X-Men movies are highly quotable, featuring great one-liners, compellingly snappy dialogue, and even monologues from superheroes and supervillains alike. The prequel trilogy that kicked off with 2011's X-Men: First Class continues in the same style, providing Marvel's merry mutants with lots of quotable lines. Read on for some of the best X-Men movie quotes from all three X-Men films. If your favorite X-adventures are X2: X-Men United or X-Men: The Last Stand, this list has what you're looking for and more. If you love the newer movies, you're in luck because the list covers all the way up to X-Men: Days of Future Past and even includes X-Men Origins: Wolverine. Magneto: Excuse me, I'm Erik Lehnsherr. Logan has always been a rebel and a loner. His cameo in the prequel manages to convey his lone-wolf status with a single line that underlines just why Wolverine is the single most popular mutant around. Magneto: "Are you a God-fearing man, Senator? That is such a strange phrase. I've always thought of God as a teacher; a bringer of light, wisdom, and understanding. You see, I think what you really fear is me. Me and my kind. The Brotherhood of Mutants. Oh, it's not so surprising really. Mankind has always feared what it doesn't understand. Well, don't fear God, Senator, and certainly don't fear me. Not any more." With one line: "Mankind has always feared what it doesn't understand," Magneto manages to sum things up nicely. Well, not so nicely, but he gets the point across in his own mutant-terrorist way. 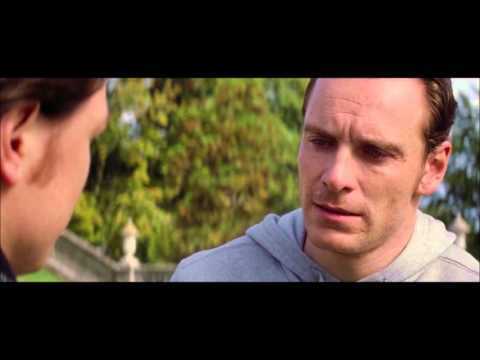 Professor X: "There's so much more to you than you know, not just pain and anger. There's good in you too, and you can harness all that. You have a power that no one can match, not even me." For years, Xavier and Magento alluded to their past as allies and friends, and in X-Men: First Class, fans actually get to see the days when these two future foes work together. At the height of their platonic romance, Xavier even trains and encourages the man who will become his bitter enemy. Nightcrawler: "You know, outside the circus, most people were afraid of me. But I didn't hate them. I pitied them. Do you know why? Because most people will never know anything beyond what they see with their own two eyes." Storm: "Well, I gave up on pity a long time ago." Nightcrawler: "Someone so beautiful should not be so angry." Storm: "Sometimes anger can help you survive." Faith has it’s place, but Storm is totally motivated by her fury. Whatever works!